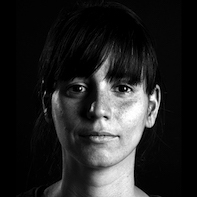 Ana Brotas is a Portuguese multidisciplinary artist interested in material and aesthetic manipulation in order to tell stories, consistently embracing a playful discourse that connects art with her social and ecological context. She studied Fine Art at both Central Saint Martins and Goldsmiths University of London. Her work has been exhibited and published internationally. Selected works were awarded at Camberwell’s and Deptford’s Contemporary Visual Arts Festivals. Her recent commissions include a public interactive billboard for downtown Los Angeles and an interactive performance piece for the Sydney Opera House Summer Program.